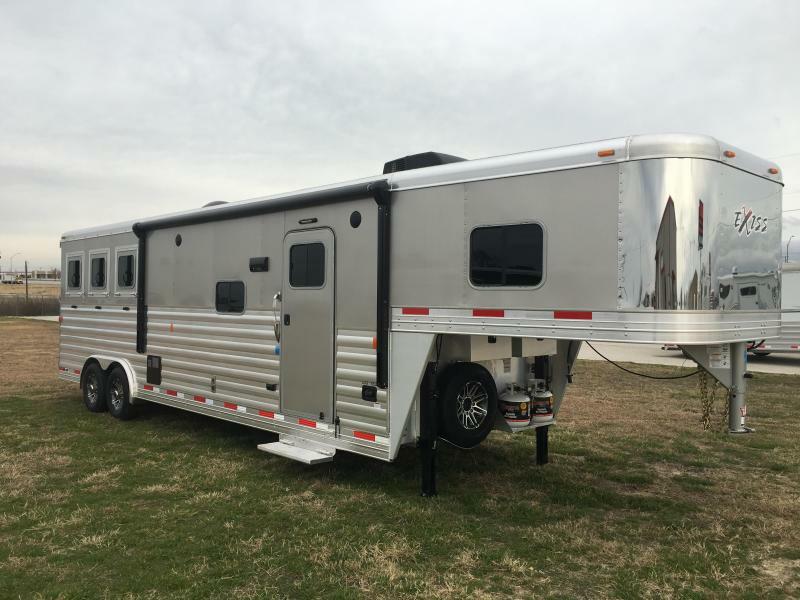 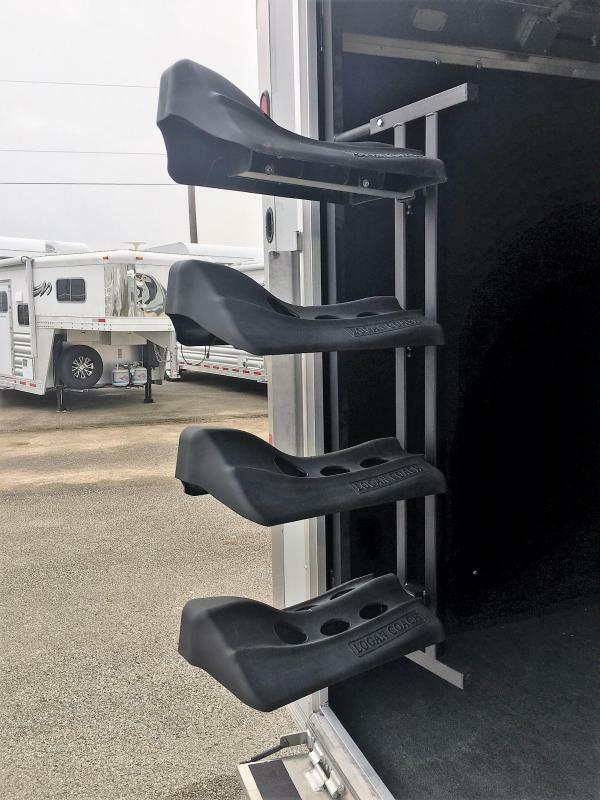 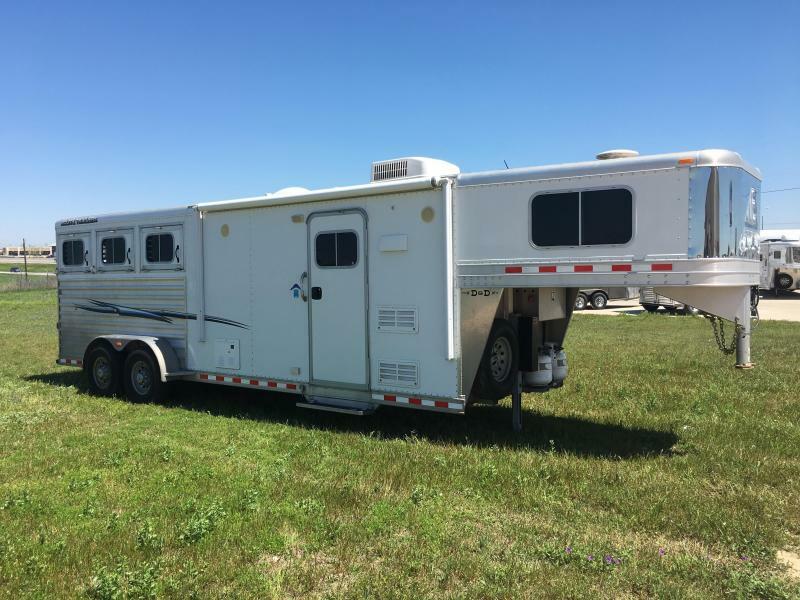 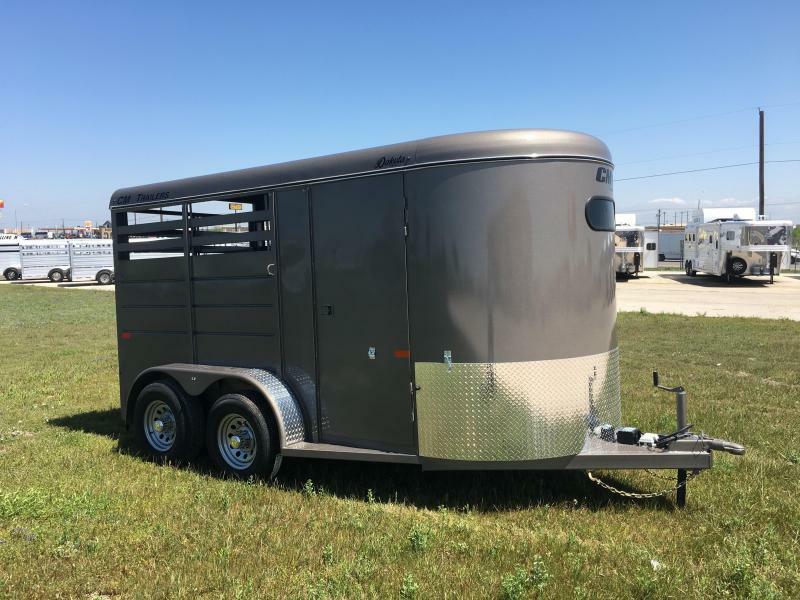 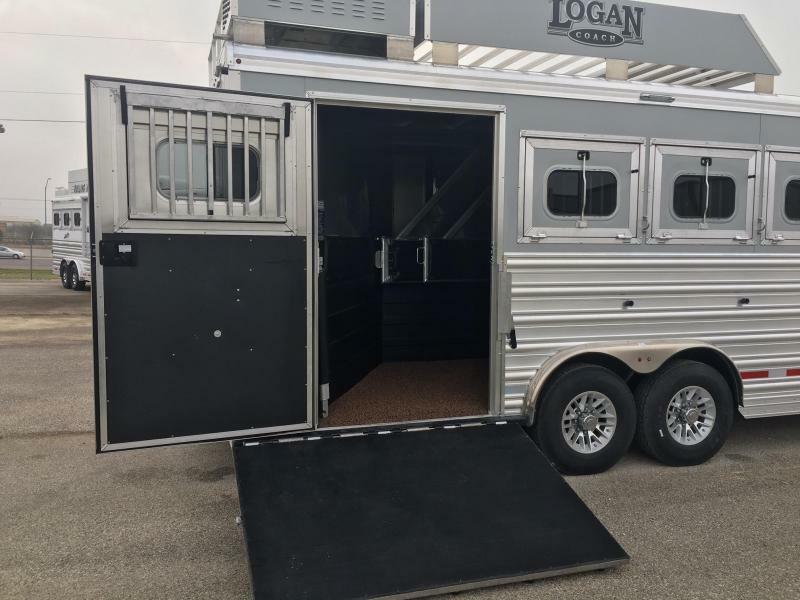 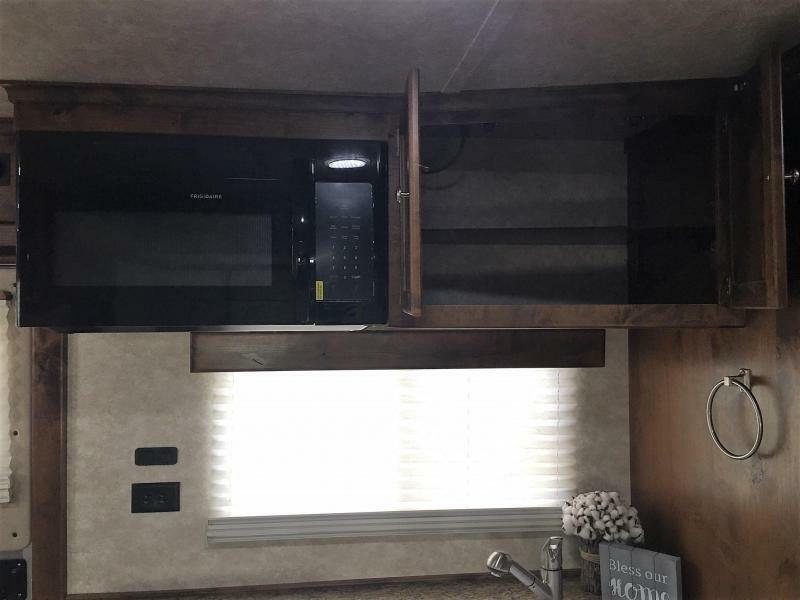 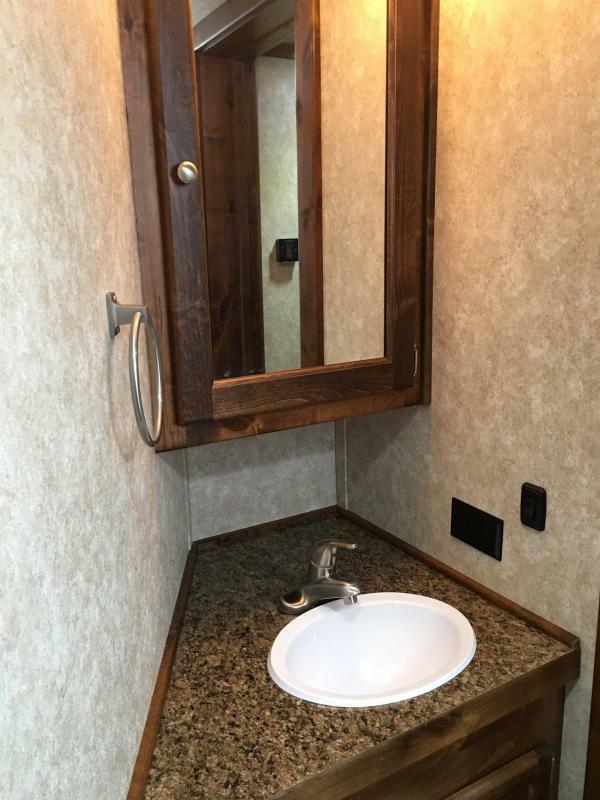 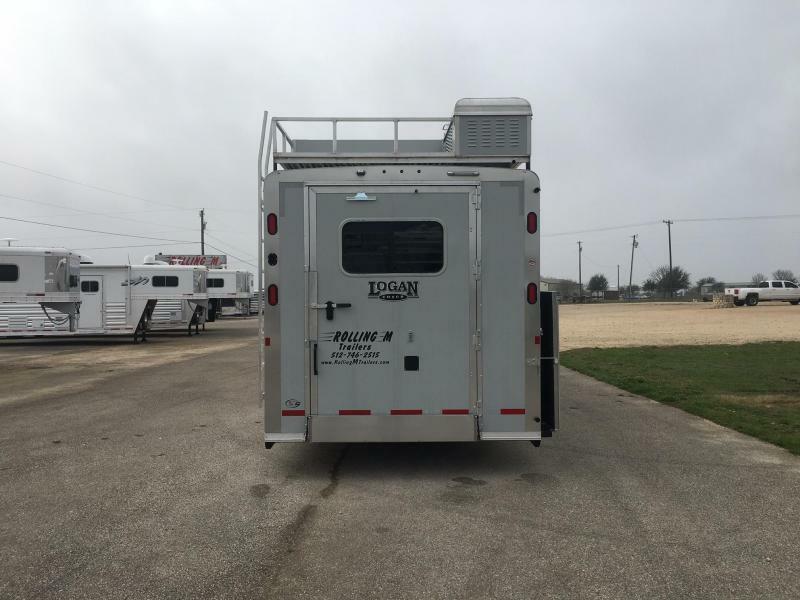 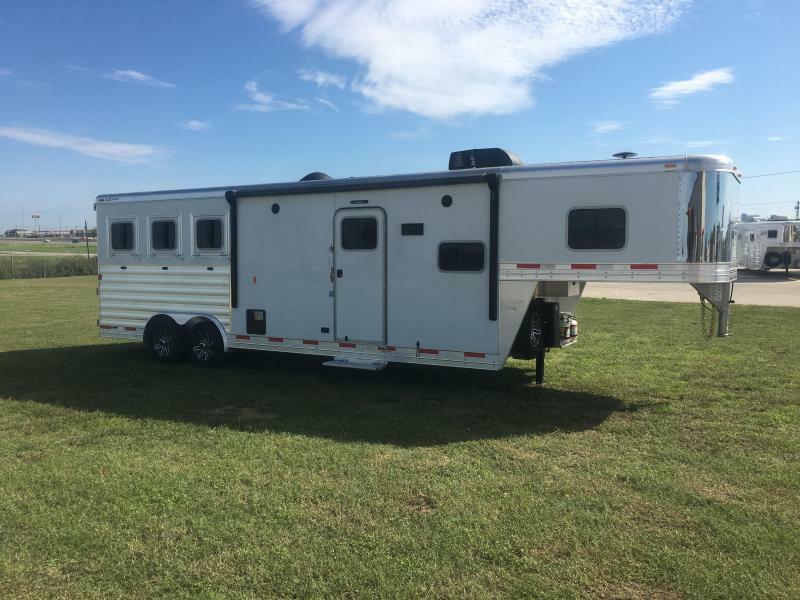 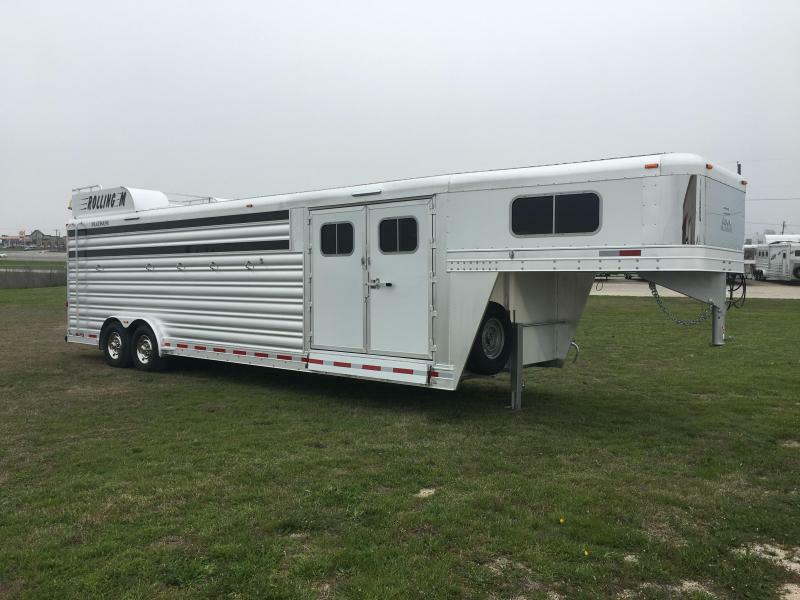 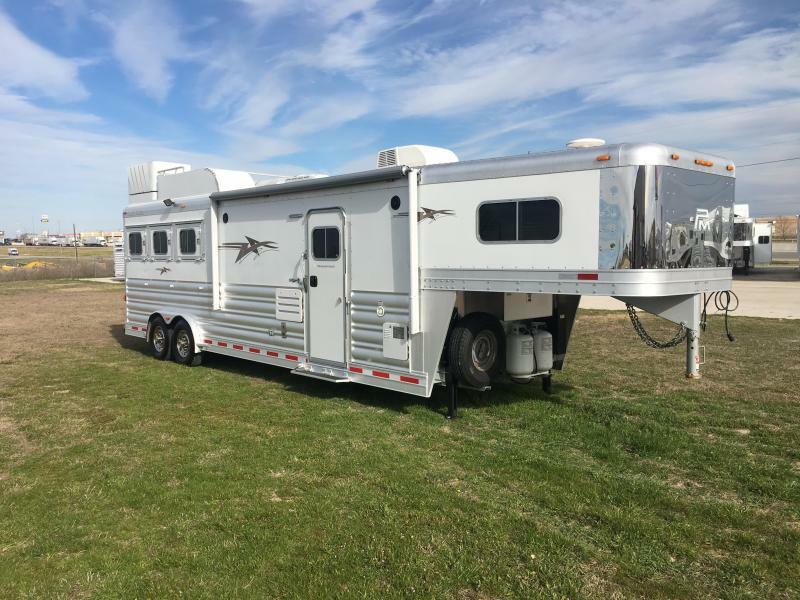 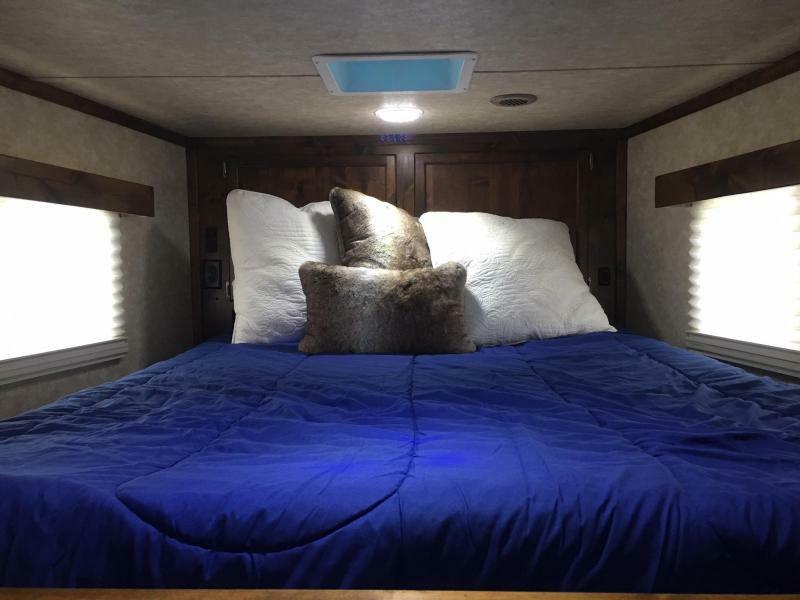 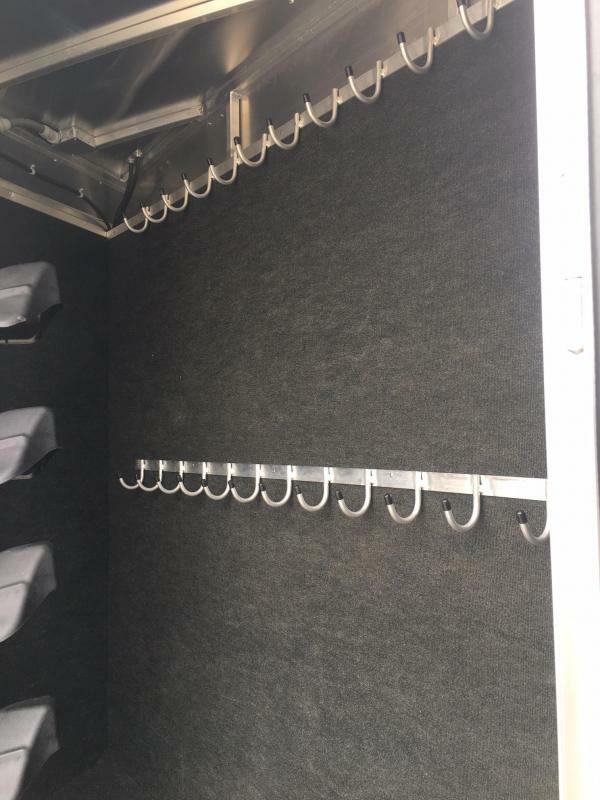 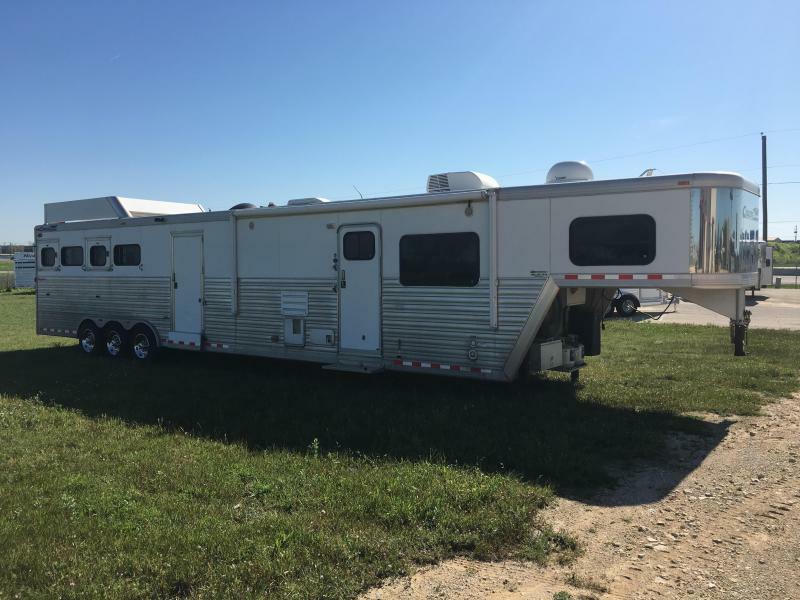 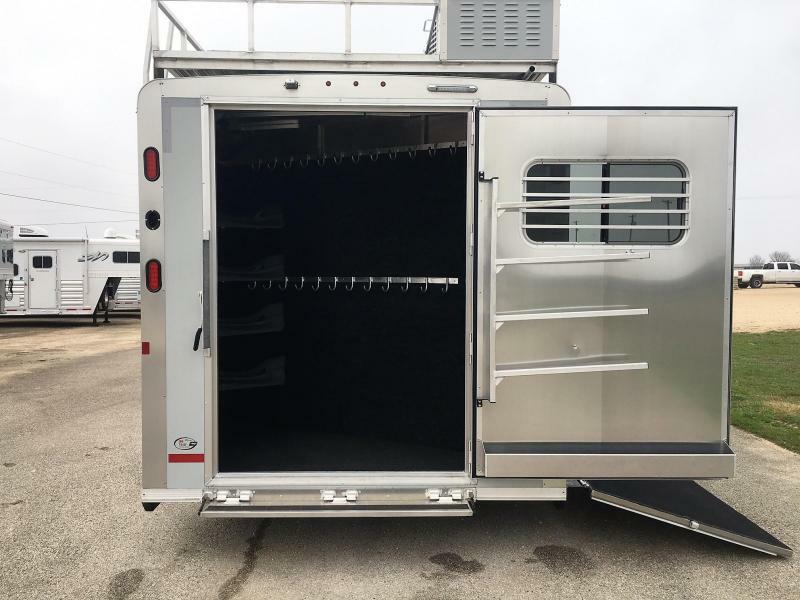 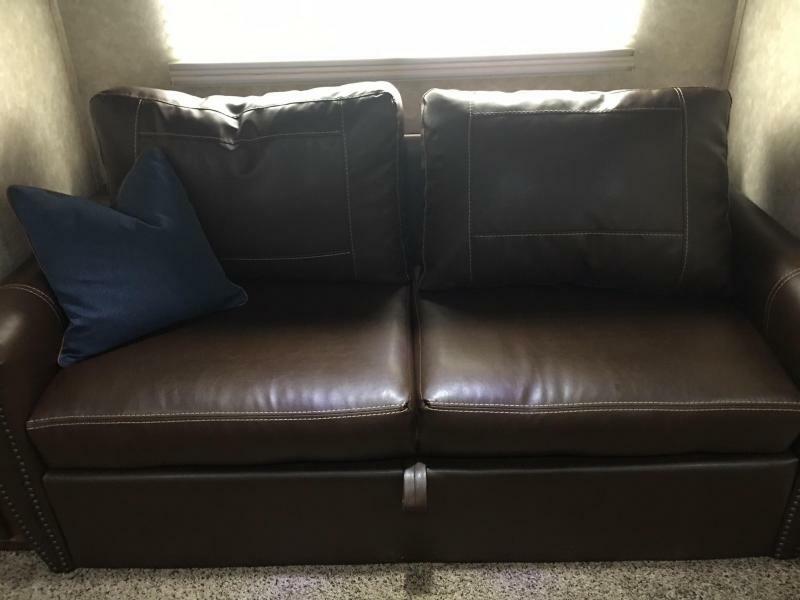 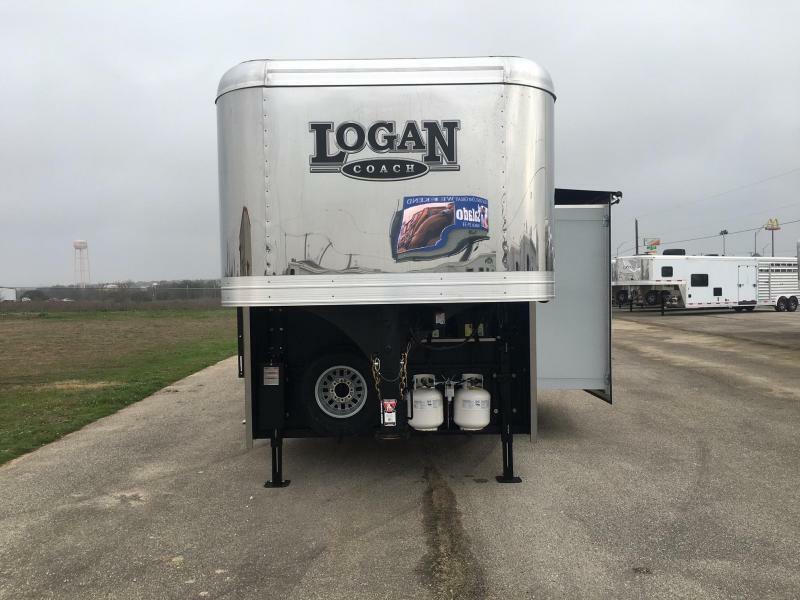 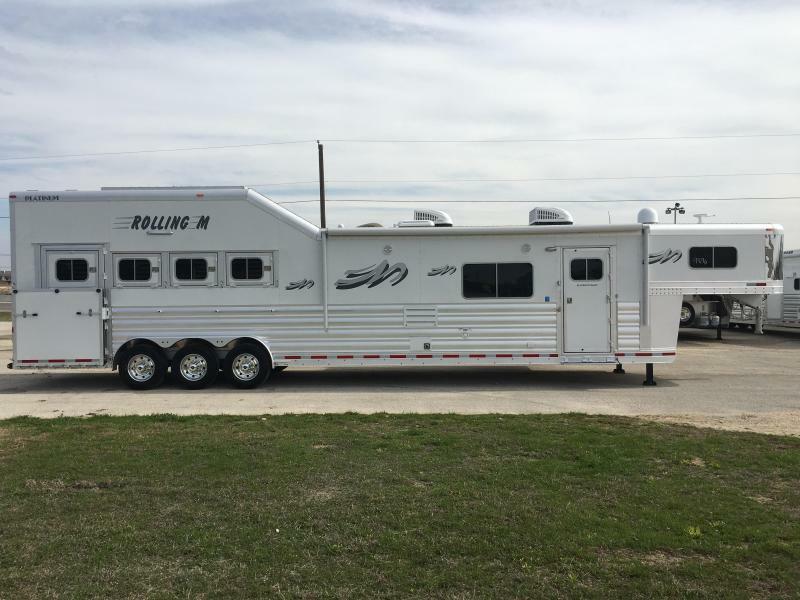 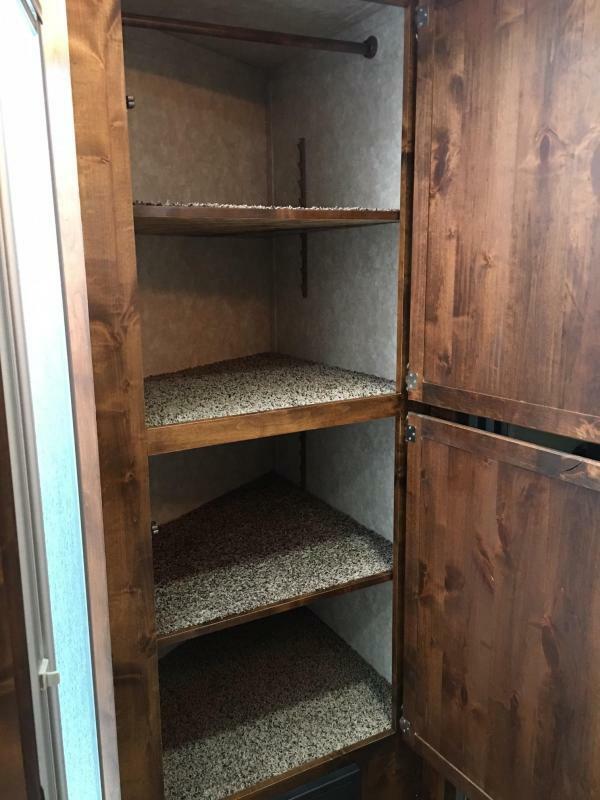 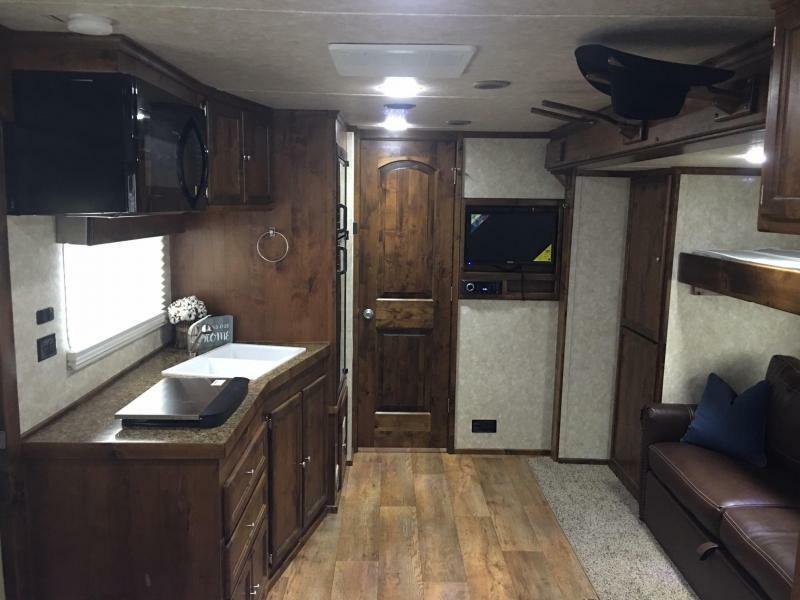 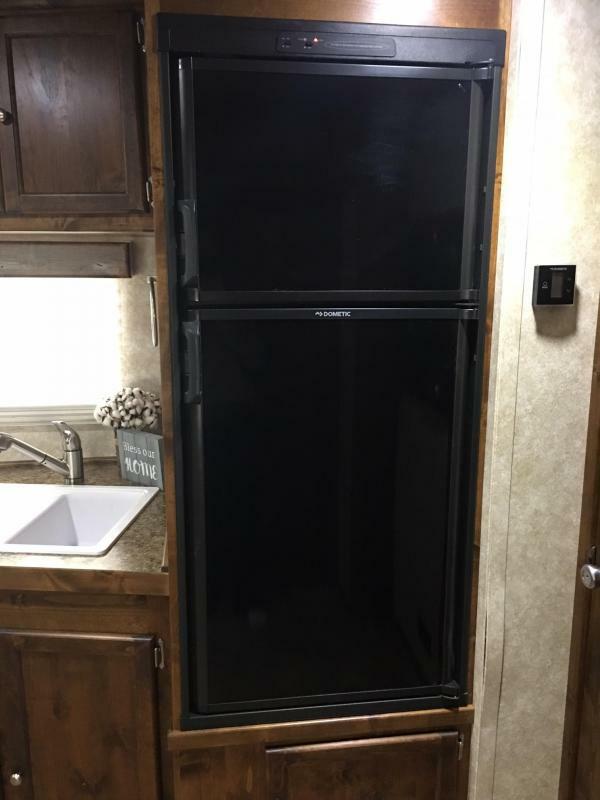 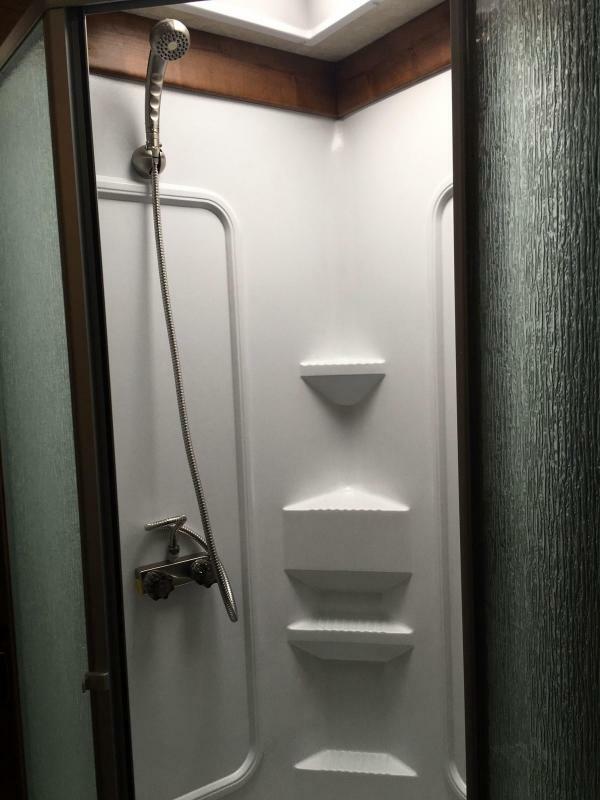 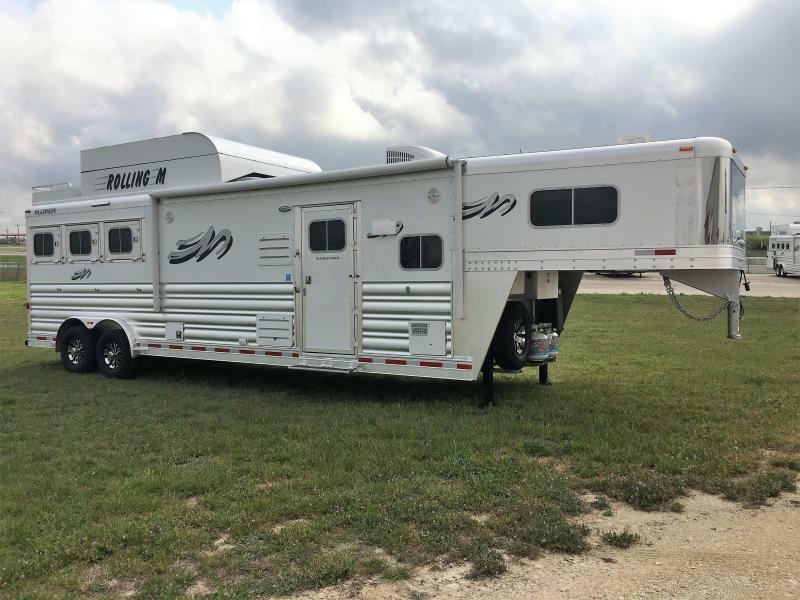 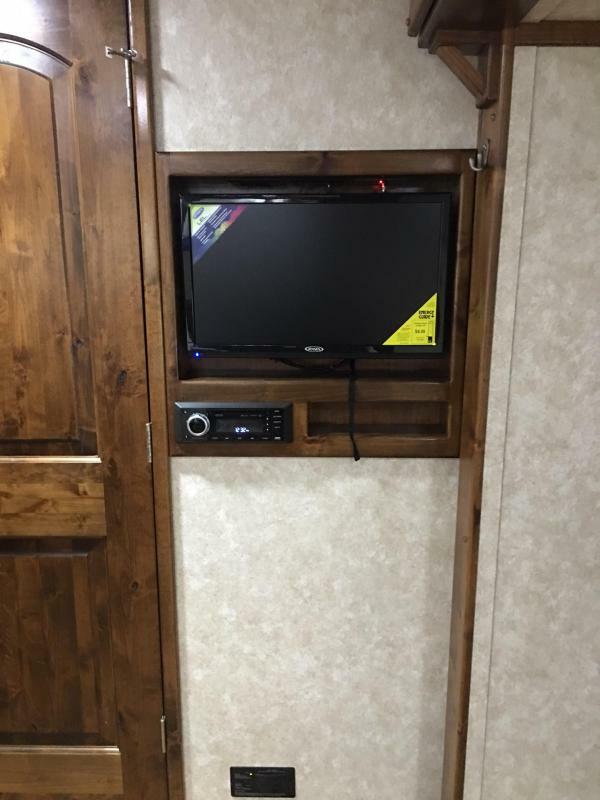 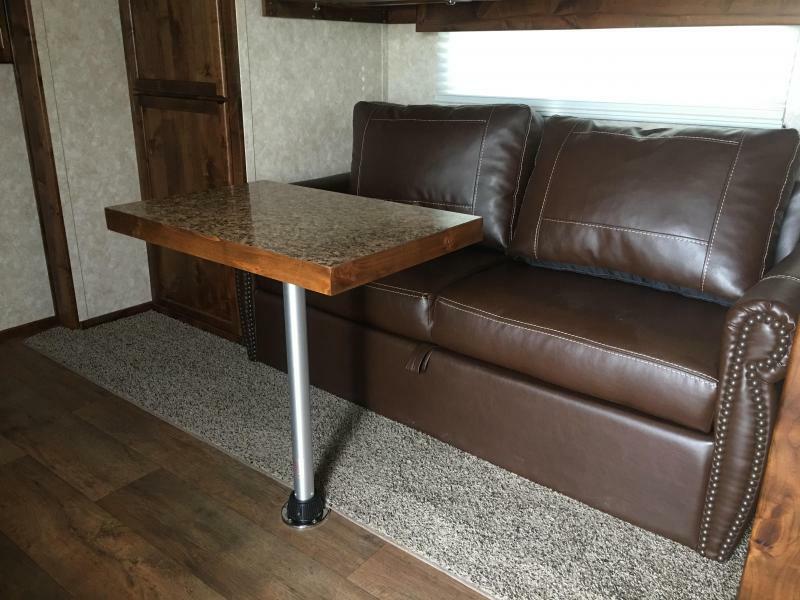 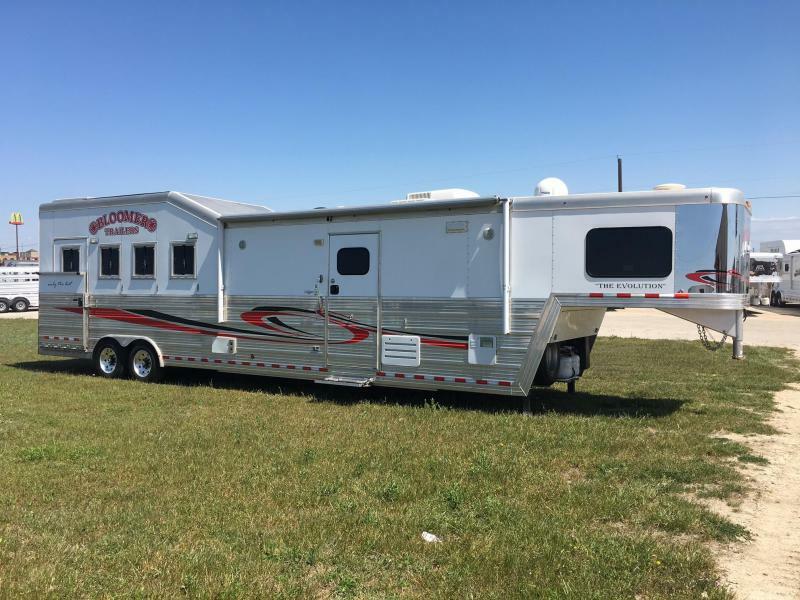 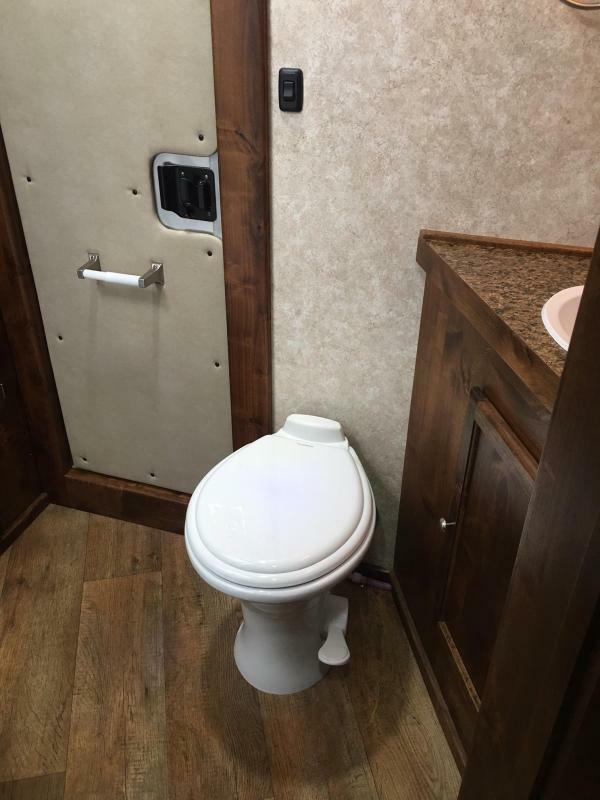 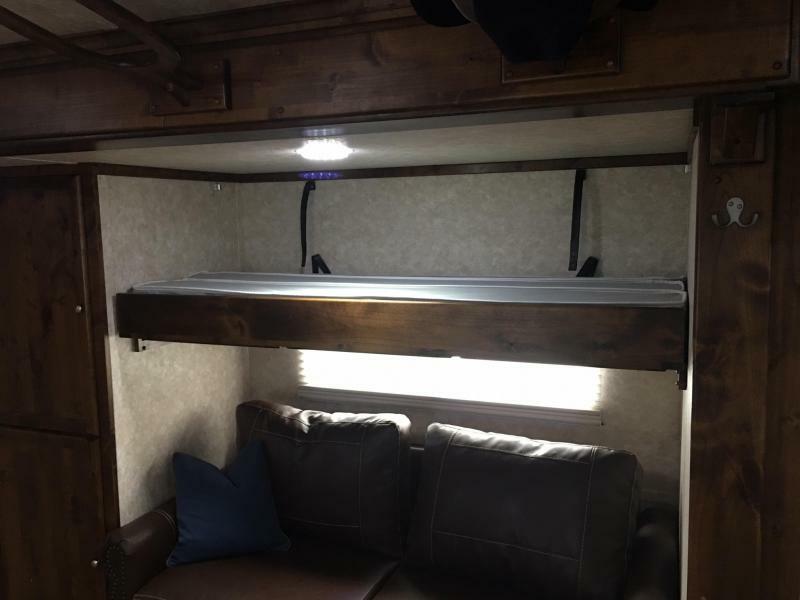 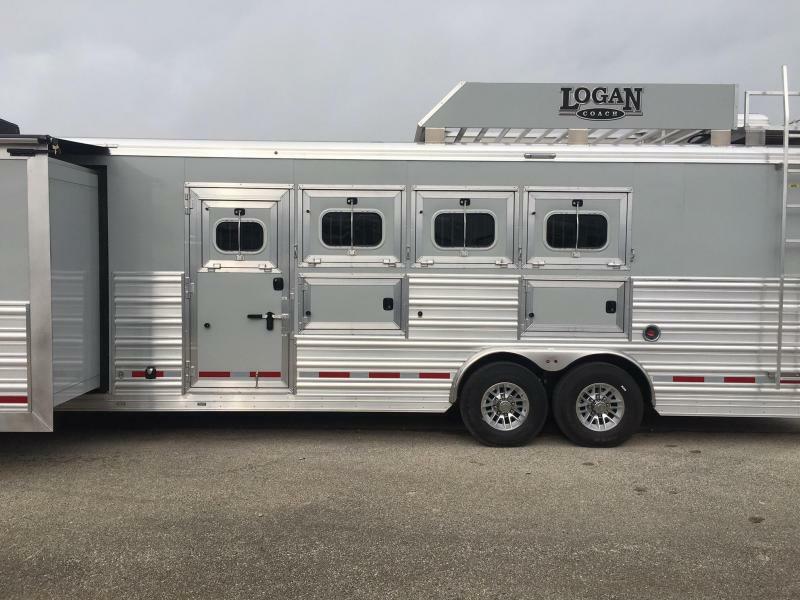 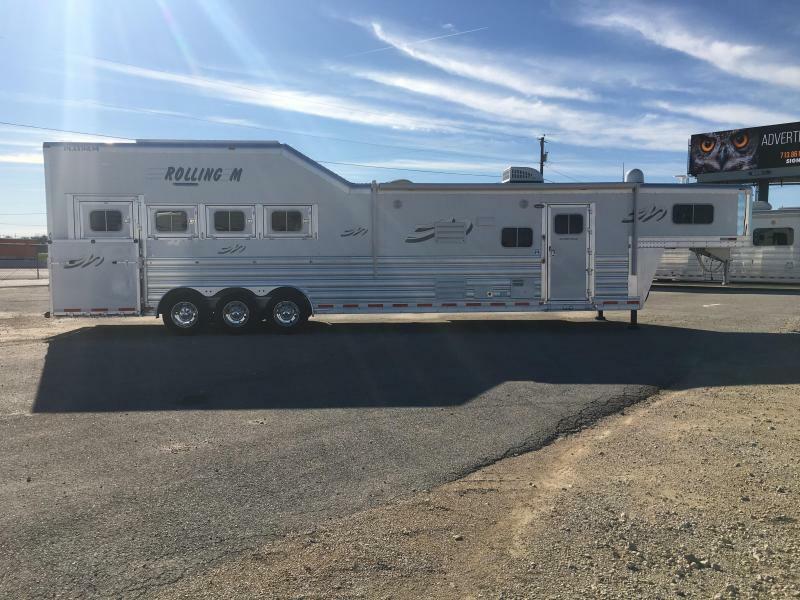 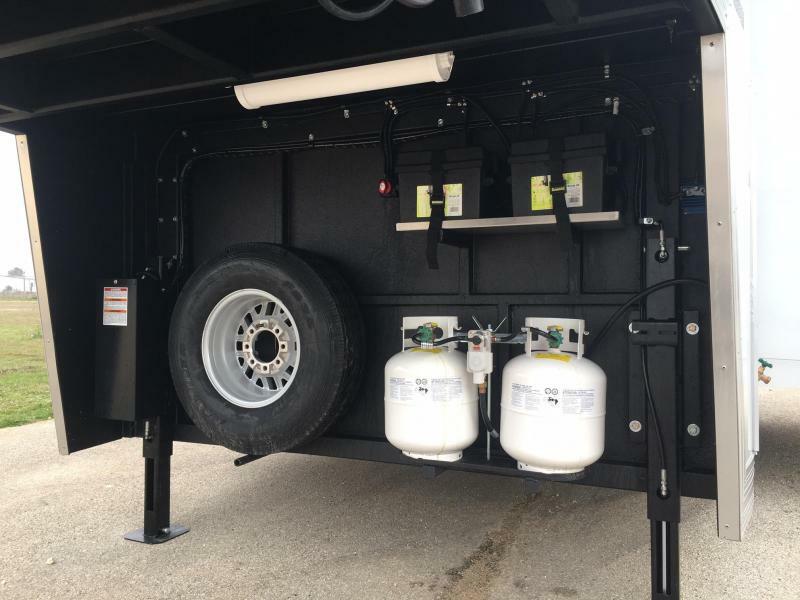 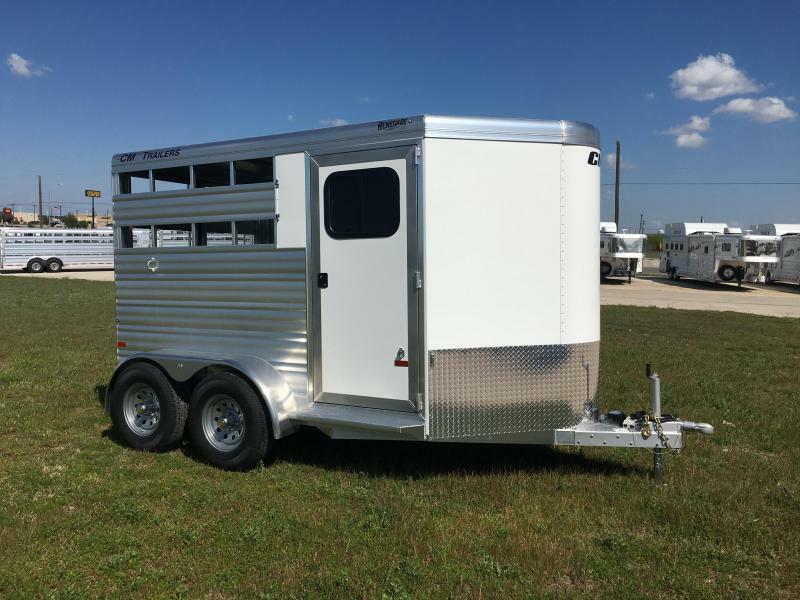 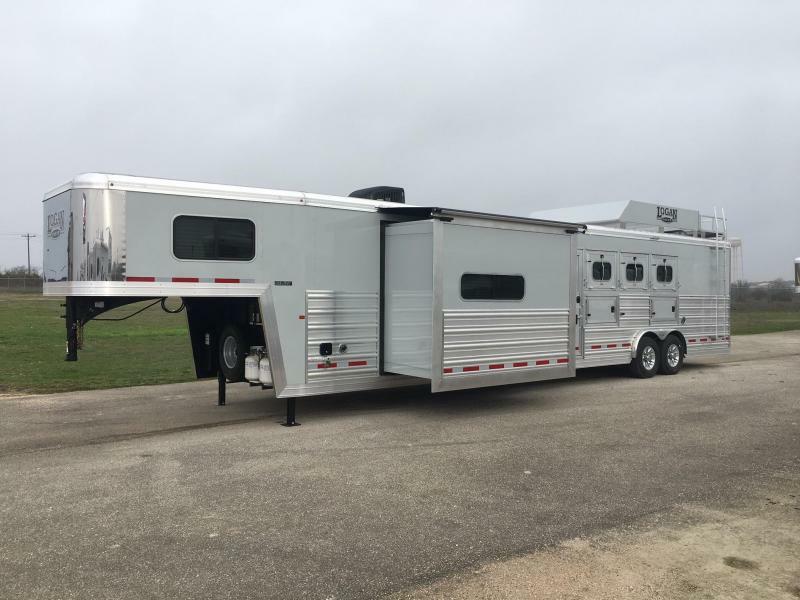 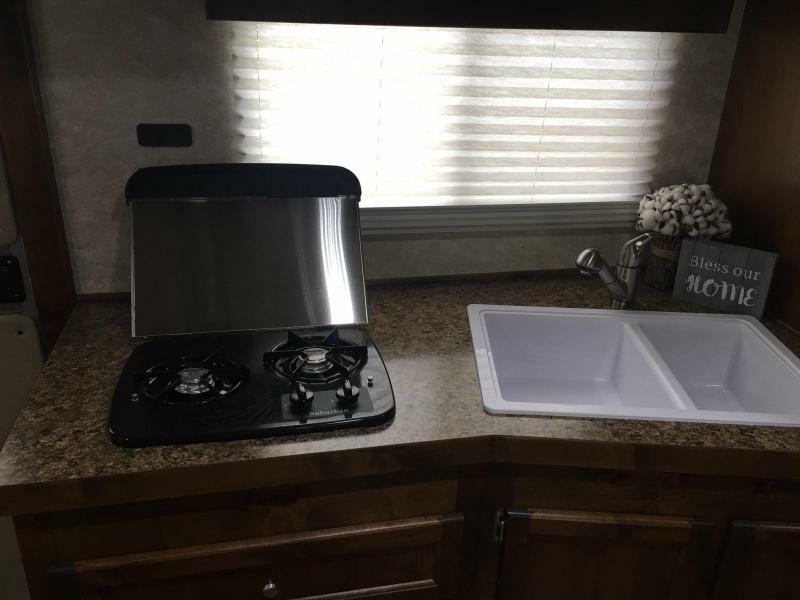 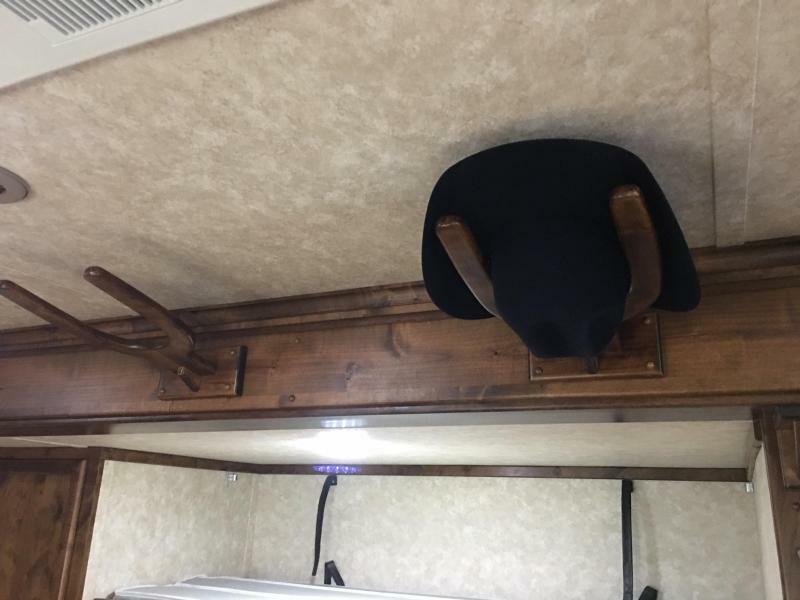 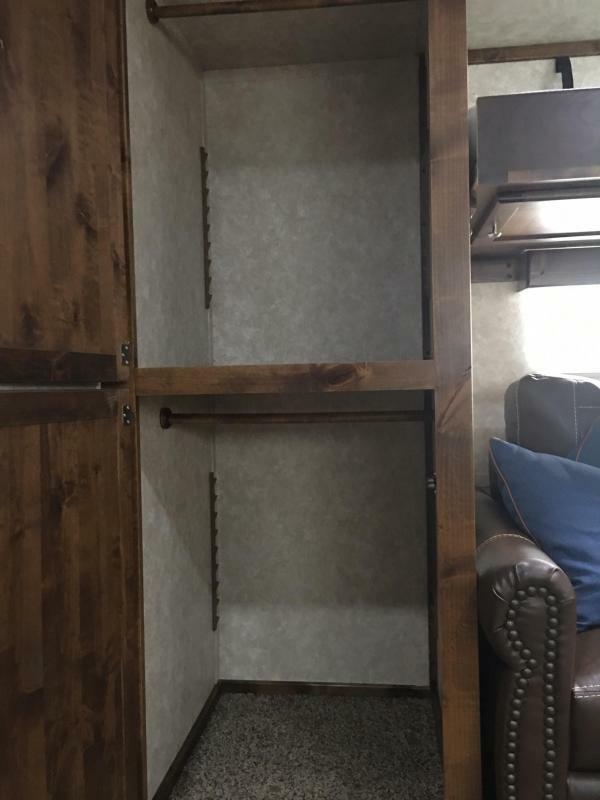 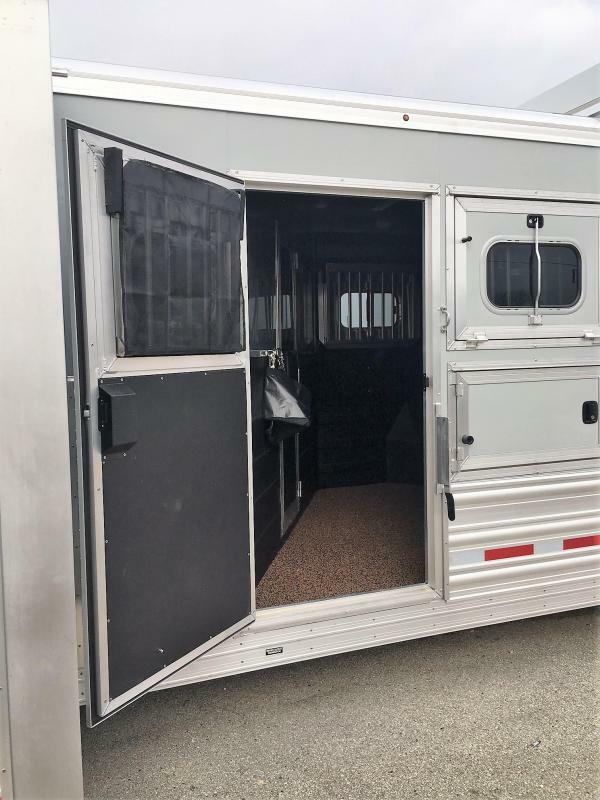 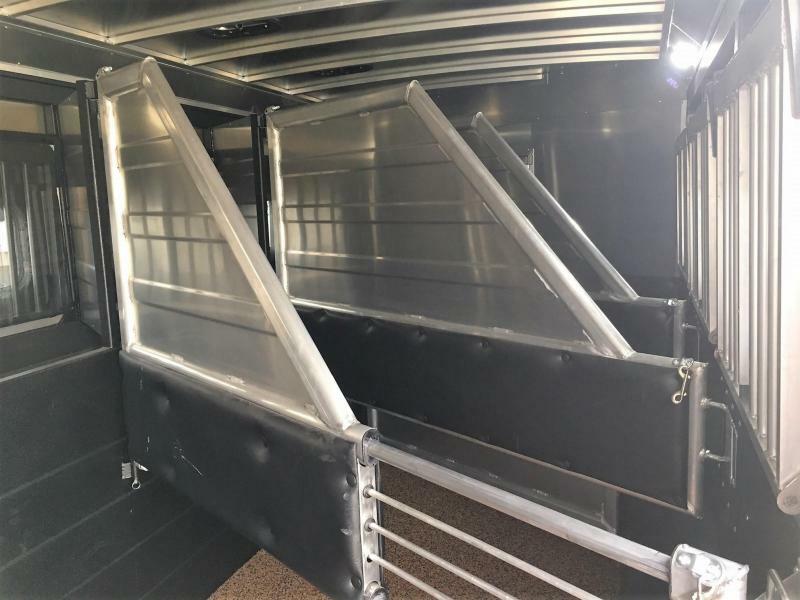 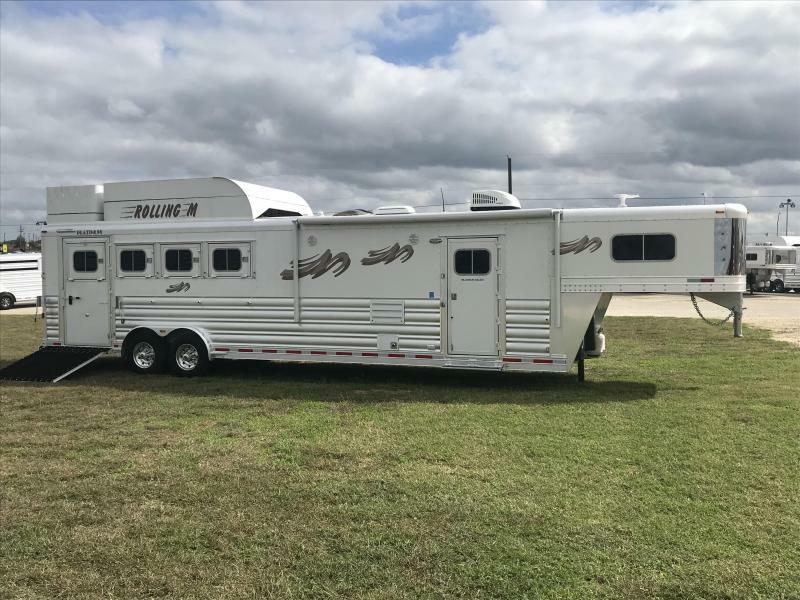 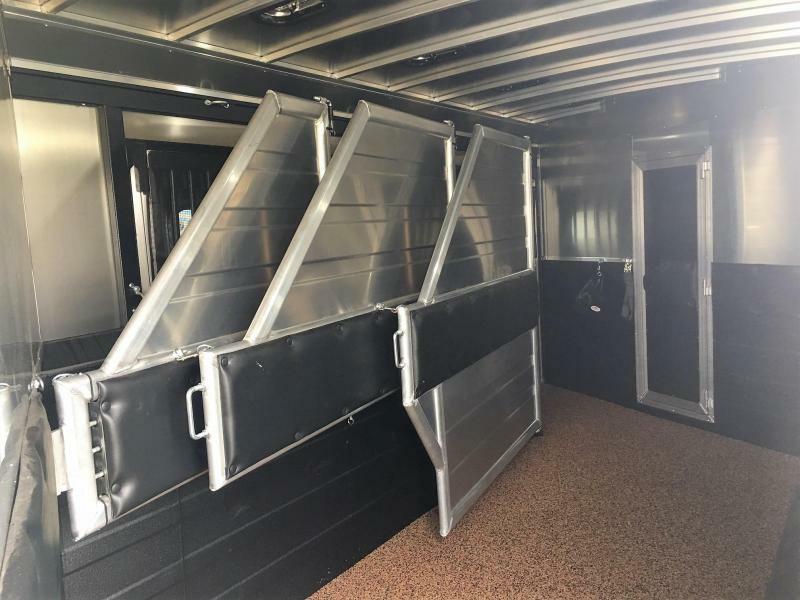 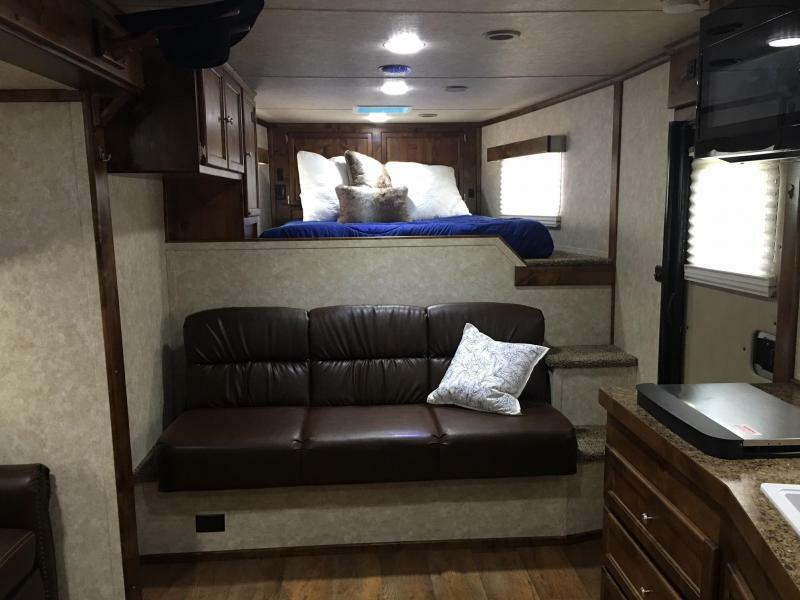 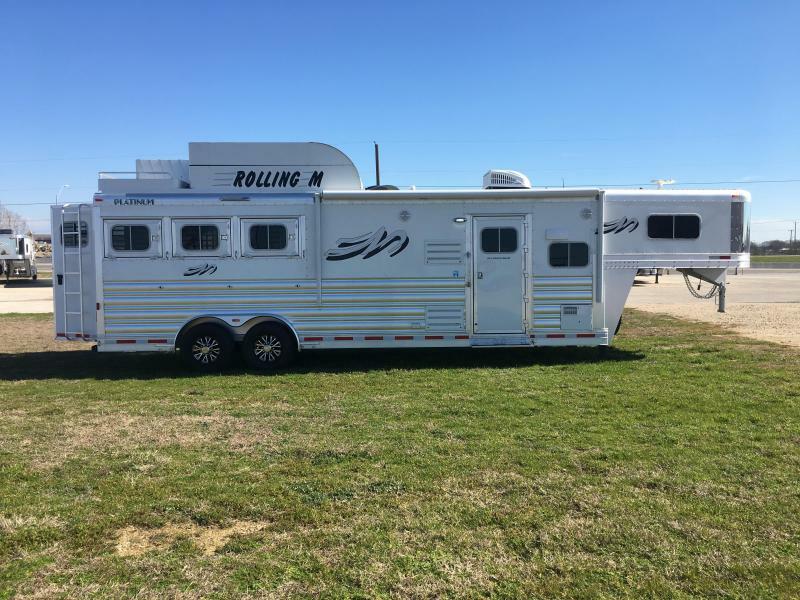 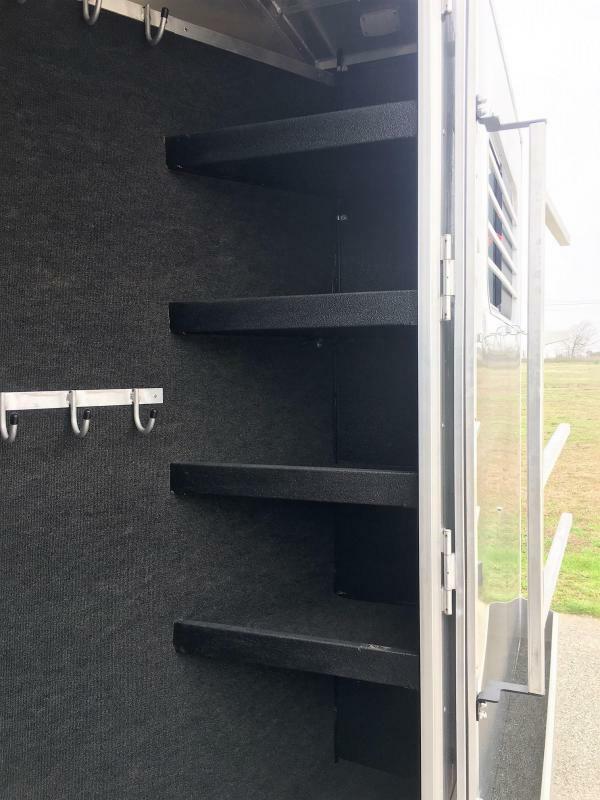 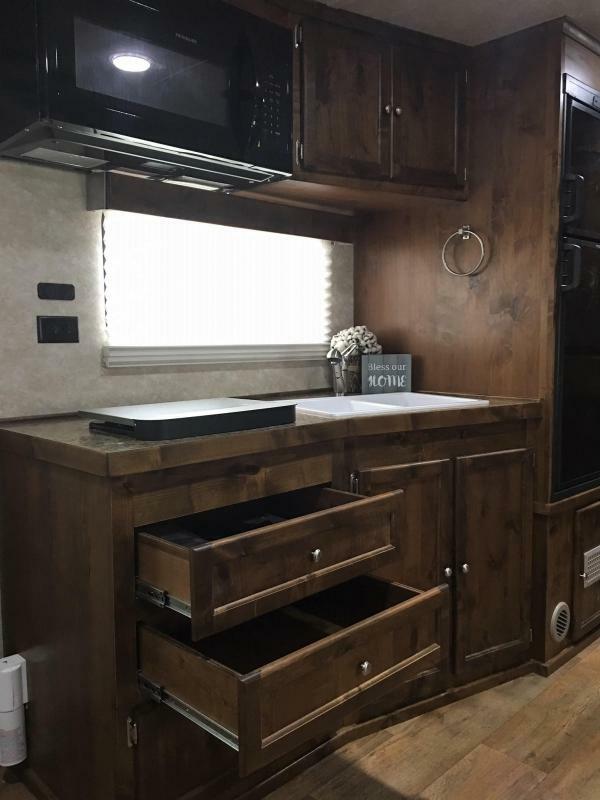 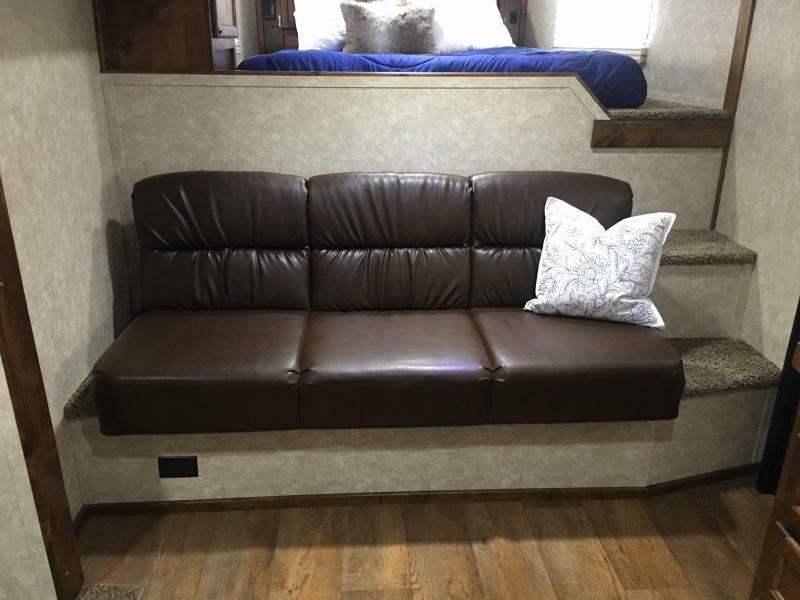 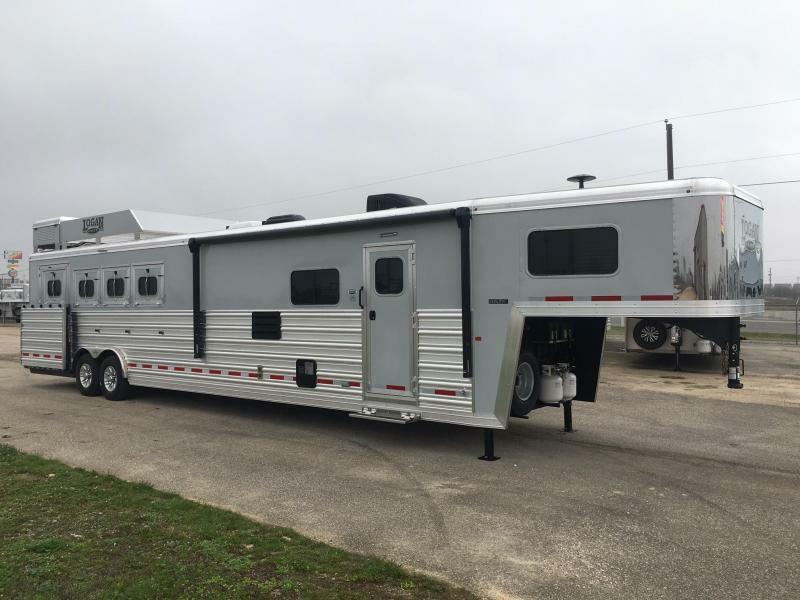 2019 Logan Coach 4 Horse Side Load 14.6 ft Short Wall with Slide. 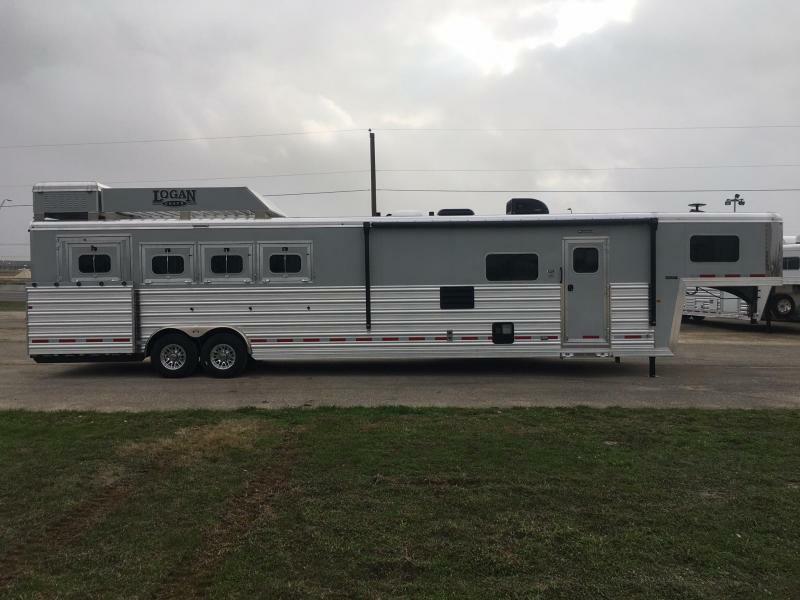 Awning, Onan generator, Polylast flooring in horse area, Large rear tack with swing out saddle rack, Drop down windows on head and tails side, Mangers with 2 access doors, Padded dividers, Very large living quarters, 2 burner cook top, Flip down bunk, Hide away bed in couch, Jack knife coach, A lot of storage and hanging space, Hard wood cabinets, LED TV, Two hat racks above couch, 8' Hay rack, and much more. 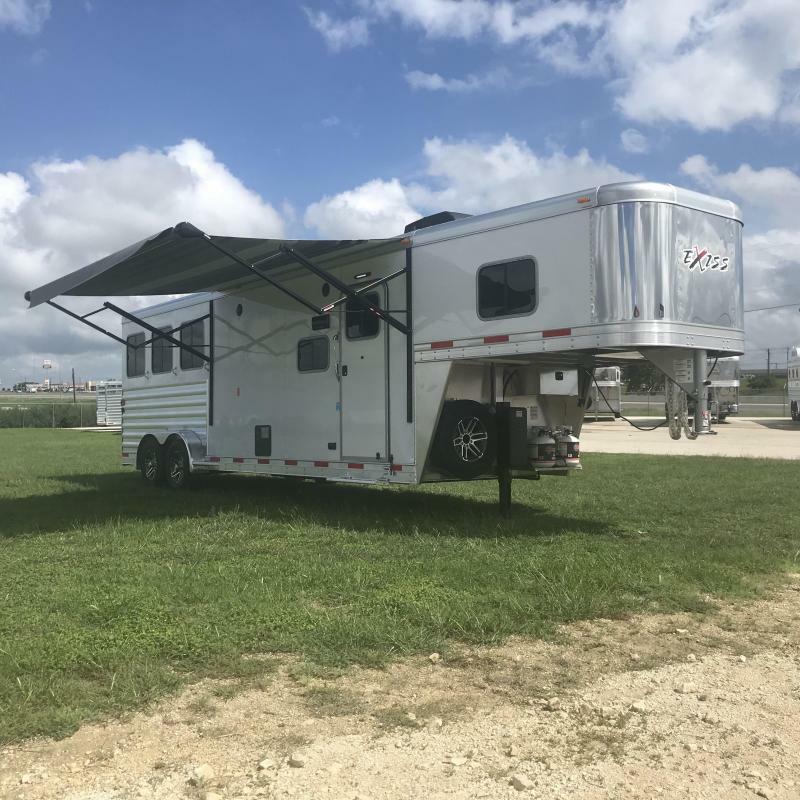 Please call 512-746-2515 for more information.